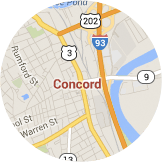 Concord, NH averages 26.25 degrees F in winter. You need a well-insulated garage door to keep the heat inside and the cold out. There's no better way to understand the quality of our product than to watch them being tested against others in a lab. Your door is only as good as its installation. That’s why GARAGA offers its customers a network of certified installers. From Derry, NH to Laconia, NH you can benefit from over 24 years of combined experience with GARAGA products. Laurent Overhead Door Systems Inc.
Read more on Laurent Overhead Door Systems Inc.
Top 2 most popular door models in Concord, NH: Acadia 138, Standard+. 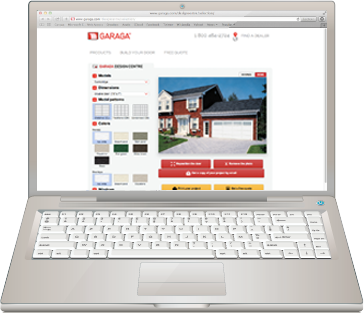 The GARAGA garage door specialists in the Concord, NH area have mastered their garage door craft and are familiar with the climate and architectural character of the region. As a result, they are equipped to provide you with the best recommendations for your specific preferences and needs, all while preserving Concord’s unique regional charm. 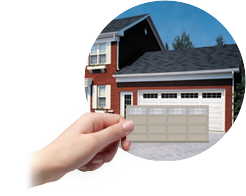 When it comes to choosing a residential garage door, trust the experts in the field. They will guide you through the different aspects to consider when buying. For example, you will have to verify the type of garage you have and its location relative to the house, then decide on the level of insulation required, the garage door opener model and accessories – not to mention all your door’s decorative elements, such as style, color, texture, windows and hardware. The LiftMaster brand makes the number one line of products, when it comes to garage door openers. 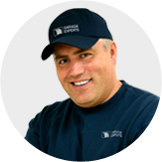 Garage door experts in the Concord area put their trust in them for several reasons. LiftMaster, part of The Chamberlain Group, is a company that has operated in the field for quite a while. The quality and reliability of their products reflects their expertise. Their garage door openers are highly durable, a fact that garage door professionals consistently note. LiftMaster door openers are easy to use and adaptable to your specific needs. For example, if there is a bedroom located above the garage, a quiet model will work best. These door openers also work on all types of doors, and LiftMaster offers a wide variety of accessories for safely managing the use of your garage door. Garage door installation by qualified technicians, as well as regular inspections, ensure the optimal operation of your garage door system, so that it works more efficiently, for a longer time, and more securely. Professionals in the Concord, NH area work meticulously on the installation, repair and maintenance of residential and commercial garage doors. To avoid emergencies and unnecessary expenses, an annual tune-up or preventive program can be arranged. An inspection will be carried out by our teams and your garage door system will remain in great working order throughout the year! Continue on NH‑11 E / US-3 N.